A few months ago, I participated in a 30-day Disney blogging challenge. I am still a little bit in shock that I actually finished all of those posts - but this one has been drafted since the end of the challenge. I started looking back at the different favorites I had chosen - and realized that amidst the favorite castle, first move I saw, favorite outfit, and favorite theme park, there are a whole lot of movies I love that somehow just didn't fit any of the categories for the challenge. So, here they are - in no particular order - the rest of my favorite Disney movies! This movie is amazing. I used to run to this soundtrack all the time. Christian Bale + Santa Fe = amazing. 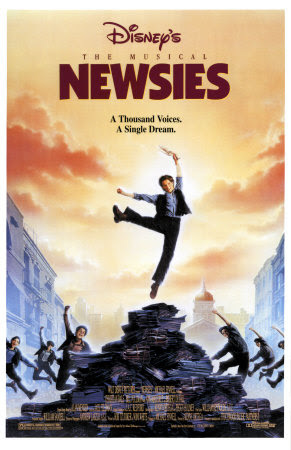 I'm a little bit disappointed that we haven't made it to NYC to see the Broadway version (Andrew and I talked for years about how much this show needed to be onstage), but sometimes the original is best and I feel like this may be one of those instances. I remember the first time I saw this movie (on Thanksgiving in 2004 while visiting family in Indiana). I loved it. When I watch it now, I find it a little bit far-fetched, but isn't it kind of magical to imagine something this incredible could happen in real life? Now, I won't say quite the same for the sequel. Random: I met Justin Bartha a few years after the film's release. I watched this all the time as a kid, and my mom was constantly telling us to play "the glad game." It's a classic Hayley Mills film, and is just wonderful. 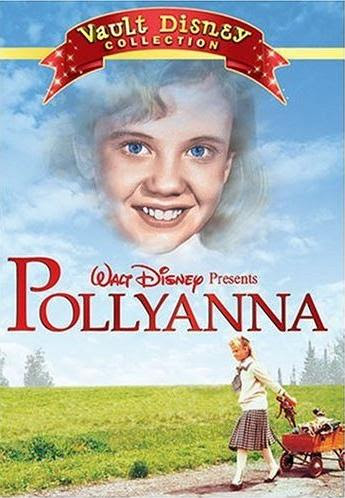 Pollyanna's spirit is certainly one to strive toward - I need to dig this one out and start watching it with my kids. I also think that Andrew has never seen it, so a family viewing is certainly in order. Tuck Everlasting. This is a sweet little film that seems kind of forgotten to me lately, but I enjoyed it a lot. The turn of the century fashion alone makes it worth a watch, in my opinion. It has a great soundtrack, as well. Mary Poppins. Seriously, this one didn't make it into the 30-day challenge? Shame on me. Classic story, amazing characters, beautiful costumes, and gorgeous music. This movie definitely has it all. We don't own it yet, but I requested it from the library recently so we can enjoy it with the kids. It's a jolly holiday with Mary...! Why yes, I did have a serious crush on Orlando Bloom after seeing this film. When the DVD was released, I watched it over and over and over. So good. I even went to Walmart dressed as a pirate one time. I didn't enjoy Dead Man's Chest or At World's End as much, but found On Stranger Tides to be somewhat redemptive for the franchise. I honestly don't remember a lot about this, but I know I watched it over and over and laughed myself silly as a child. Definitely another classic that needs to be in our family collection. It kind of seems that it's all of the live-action films that didn't make my 30-day list. I guess there is logic behind that! I was busy thinking about Belle, Ariel, and Nemo to concentrate on this part of Disney history. What do you think? What else should have made my list? Never seen Tuck Everlasting. What is it about?